Soulmates, Twin Flames, and the plethora of other titles used all really describe the same thing, a soul connection. We have all crossed paths with these particular people in our lives. You will feel as if you instantly know the person, feel an attraction that is off the charts and be able to start up a conversation and talk comfortably as if you have known each other for a long period of time (so long as you aren’t letting your head get in the way). Many times these soul connections are for the purpose of a real loving and caring relationship, but sometimes they are meant for a different purpose, which is usually rescue. Rescue is the most common reason for a soul connection entering your life besides connections that are for the purpose of a real love relationship. These connections will start out the exact same way. You will feel an attraction to this new person instantly. Even if you are normally a bit introverted, you will still want to talk with them right away and you may even develop some instant feelings. However, you will also notice as the two of you talk more that this person may have a lot of underlying issues that need to be resolved and that you have spent your time acting as a shoulder and someone who gives support. While emotional support is a necessity in real love relationships too, it will be mostly all you do in this one. These types of soul connections are the most difficult to endure when you aren’t sure where the two of you are headed. Not only because they can be draining, but also because it will seem like your feelings surpass the other person’s as time moves forward. You will be ready for something more, but won’t always get that feeling back from this person. The below lists two different signs that your relationship or new interest might actually be for the purpose of rescue rather than the type of relationship you are most interested in. Don’t get me wrong, there is absolutely nothing wrong with helping, comforting, and guiding someone to be a better version of themselves, but if it is the only thing you ever do and plans always fall through, then you just may be dealing with a rescue connection. It feels great, especially for sensitive souls, when they can make a real difference for someone and help them through life and it also feels great to have someone comfortable enough to share all their troubles with you, but a lot of the time we make assumptions that these connections will turn into something more. It happens on occasion, but holding onto the mindset that it absolutely will evolve will seem like most difficult uphill battle you have ever fought. If you find yourself already in one of these situations, take a step back, ask yourself if you are getting back what you need to move forward and then make a decision that best suits you. Making a difficult decision doesn’t mean you need to drop this person from your life, but it will help you feel better about the direction the connection is moving in. These situations can get tense and you may experience a lot of victimization from the other person at sporadic times. If you have spent most of your time assisting, helping, and guiding whenever the other person needed it, but are scorned when you are busy elsewhere, then there is a very strong possibility you are in a rescue situation. We all go through difficult periods, we all experience life struggles that knock us down, but that doesn’t mean it’s acceptable to guilt and scrutinize someone whenever they are busy elsewhere. If anyone is expecting 100% of your time and tries to make you feel bad when you aren’t available even one time, then you may need to evaluate the situation you are in. Be wary, because these connections can really tug at your heartstrings. One day it may feel as if you are starting to turn into something more or you may think that he or she is ‘almost there’, but the next day it’s right back to bad attitudes, dismissive behavior, and mixed signals. Do what serves you best in these situations. Do what makes sense to you, but be careful of creating expectations that will only lead to hurt. If you are going through a difficult connection and feel like you are spending all of your time rescuing the other person, reach out directly to any one of our experienced psychic advisors. 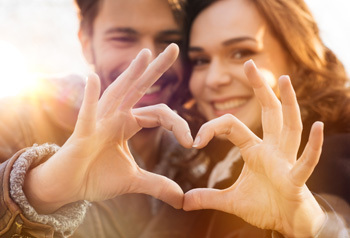 They can look deep into your partner’s energy and determine exactly what type of soul connection you are currently in.